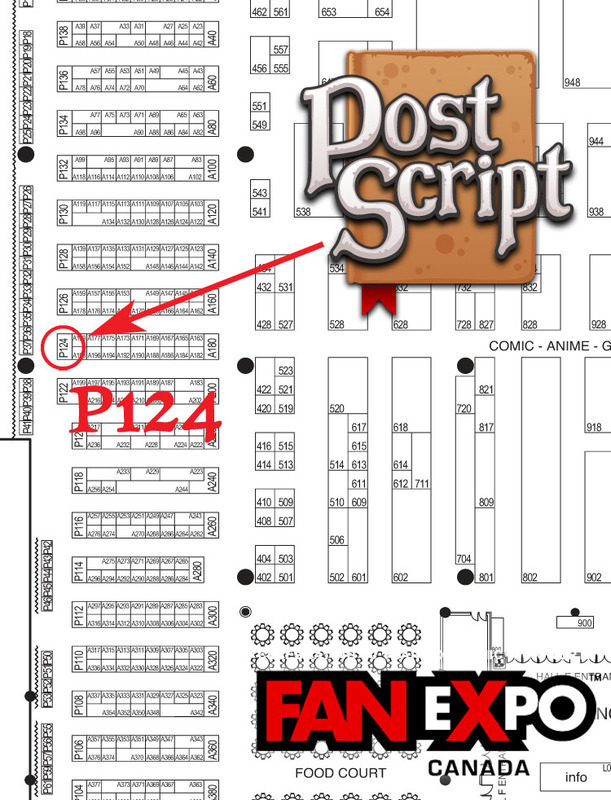 PostScript Comic » Toronto FanExpo Here We Come! Toronto FanExpo Here We Come! We’ll be back at our old stomping group booth P124 on the edge of Artist Alley. Drop by, say hello, and complete your PostScript book collection while you’re there. We’ve also got some great new watercolours that Graham has produced. Are you a Batman person, or a Robin person? Can’t decide? We have Catwoman too. Plus two yetis and four Ninja Turtles too.